The era of revolution in China's machine tool industry has come. The structural adjustment of the radial arm drilling and milling industry and the upgrade of product upgrades are imperative. With technological innovation as the driving force, the competitiveness of medium and high-end rocker drills and milling machines is greatly enhanced. The current core mission of the industry. "China's machine tool production has gone from the era of 'can't do' to the 'can do' era, but there is still a long way to go from the 'can do' era to the 'good' era." Hanwei machine tool said. Statistics show that in 2011, the machine tool industry accumulated a total industrial output value of 660.65 billion yuan, an increase of 32.1%; product sales value of 642.49 billion yuan, an increase of 31.1%. However, compared with the past few years, this growth rate has been greatly reduced. In 2010, the cumulative growth rate of total industrial output value and sales value of the machine tool industry was 40.6% and 41.4%, respectively. However, in recent years, the market share of domestic machine tool radial arm drills and milling machines has been declining year by year, from 30.1% in 2000 to 28.1% in 2003. This requires the use of billions of dollars in imported high-end CNC machine tools each year. Such a controlled situation will continue to pose a threat to Chinaâ€™s economic security. Therefore, it is an arduous task for the domestic machine tool industry in the next five to ten years to vigorously develop homemade rock drills and milling machines to improve the localization ratio of machine tool rocker drills and milling machines, especially high-end CNC machine tools. High-speed, high-precision, high-reliability, composite, intelligent, flexible, integrated and open are the main development directions of the current CNC machine tool industry. In fact, domestic rocker drills and milling machines have the favorable conditions of â€œclimate, geography, and human harmonyâ€. Compared with foreign numerical control systems that float across the sea to enter the Chinese market, there are self-evident advantages, and we can also see that the domestic shake Arm drills and milling machines have absolute advantages in terms of after-sales service and cost-effectiveness compared to foreign rock drills and milling machines of the same type. 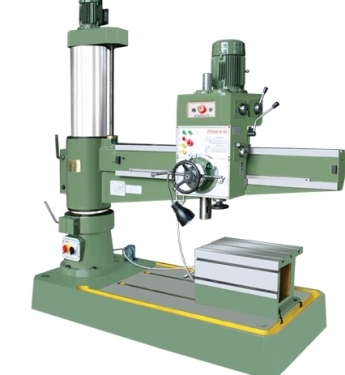 In low-end applications, domestic rocker drills and milling machines not only have absolute advantages in price, but also Product quality and reliability are also not inferior to any foreign manufacturers' products. Japanese cuisine greatly reflects the integration of nature and humanity. Food is to provide the body with energy and nutrition, in order to maintain the original nutritional structure of food, the Japanese are very particular about the handling of ingredients, just a few slices of salmon or a few scallops have to be in accordance with the color and temperature of food with different Of the cutlery , different wine to be distributed in what kind of vessels in order to drink when they maximize their mellow, cutlery and chopping board to be divided into vegetables, fruits, fish, meat and other uses, can not be mixed use, Otherwise it will undermine the original taste of food. Driven by such ideas and habits, the Japanese cutlery culture has also become rich and colorful, its own system. QianYu Food Machinery Co., Ltd provide sushi conveyor belt at the same time, and provide supporting facilities ---- Japanese Sushi Cutlery.Japanese cutlery In our opinion, one of the most intuitive feeling is a rich variety of uses clear, delicate, like a complete set Tools to complete a meal,let the food look more delicious.